It’s not for the sake of vintage fashion and neither it is for any kind of brand fetish. Some good old stuff are hard to die and they are engineered to be 100% serviceable. 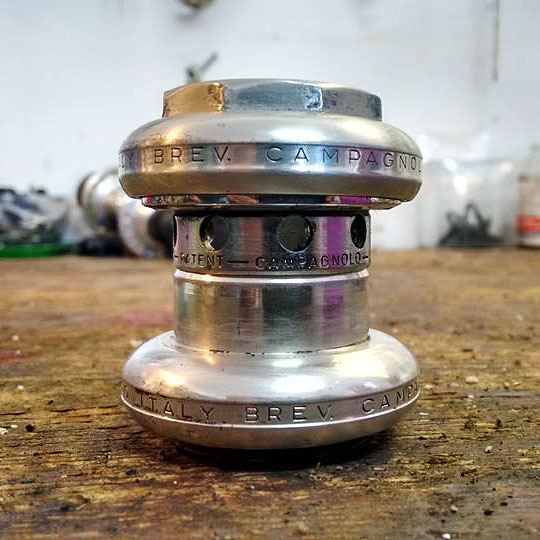 Like this Campagnolo Super Record headset, 15 years in the open air without service, it serves again after a good cleaning and a certain amount of bearings grease.